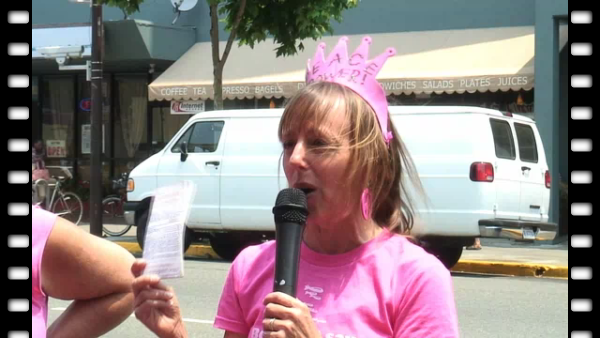 On June 25th the Marine Recruiting Station in Berkeley witnessed CodePink celebrating their legal victory of the day before. Medea Benjamin told the group about Jodie Evans visit the preceding evening with Barack Obama in Hollywood. On 3:05 to 3:19 of the video we learn Obama's position on the FISA bill up for a vote July 8th in the Senate.